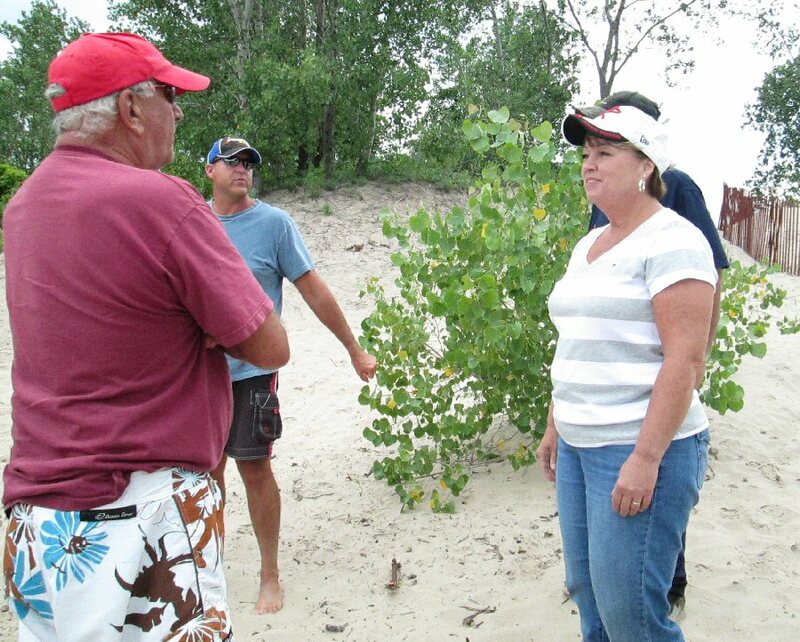 State Senator Patty Ritchie visited Sandy Pond recently, where dredging is taking place on a channel that, throughout the years, has been made nearly impassable for many boats, and made navigation hazardous for those that could traverse the channel. Senator Ritchie is pictured with visitors to the area, who were thanking her for her efforts. Earlier this year, the Sandy Pond Channel Maintenance Association called on Senator Ritchie to help secure funding and also to support their request to make changes to an existing permit that would allow for mechanical dredging to be done. Senator Ritchie was successful in securing $75,000 in state funding for the project, as well as the permit, which allowed for improved dredging, as well as excess sand to be used for dune restoration and beach nourishment. Joining the Senator on her recent visit were Cathy Goodnough, president of the Sandy Pond Channel Maintenance Association; and Mike Kastler, Town of Sandy Creek Highway Superintendent.